Despite its mobile first mantra, Microsoft is not number one when it comes to mobile productivity solutions. Despite its mobile first mantra, Microsoft is not number one when it comes to mobile productivity solutions, according to a report by SurveyMonkey Intelligence. The report found that in March 2016 Google Apps on mobile had 111 million active monthly users while Microsoft’s mobile apps had 14 million active monthly users. 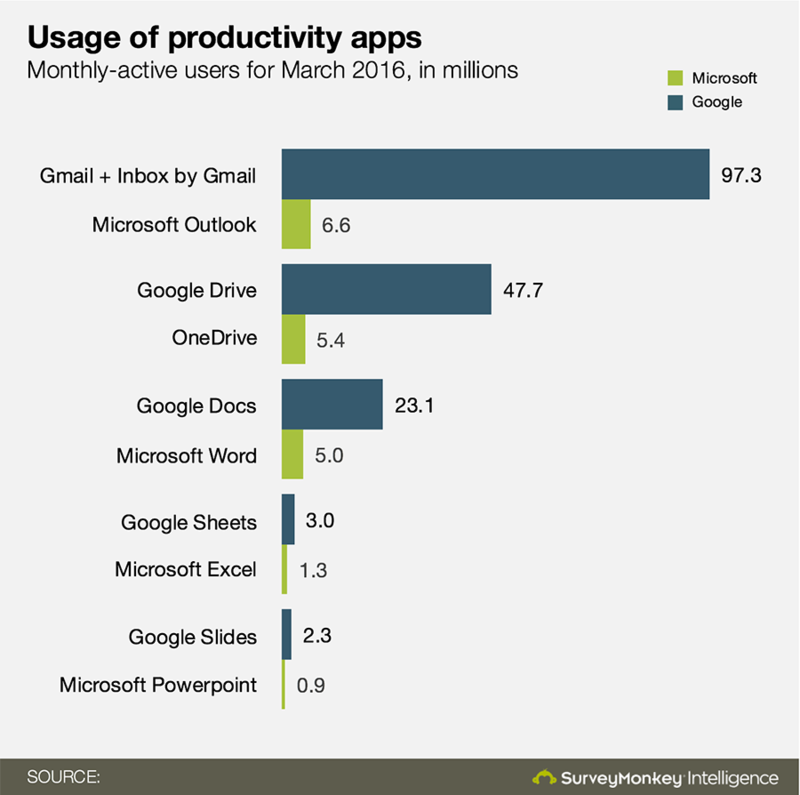 Viewed as a suite, SurveyMonkey found that eight times more people used one or more Google productivity apps in the past month, compared to Microsoft. According to Talkin’ Cloud’s sister site Windows IT Pro, the biggest disparities are in its email and storage suites, where Google has 92 million active monthly users versus Microsoft’s 7 million active monthly users for email, and 48 million versus 5 million for storage, respectively. You can read more on Windows IT Pro.